Religion is a said to be a collection of cultural systems, belief systems, and worldviews that relate humanity to spirituality and sometimes, to moral values. Religion is the royal highway that leads us to God. All great Masters and Prophets established several pathways to enable human beings to make a connection with and eventually realize their true Divine Self. But religion is perhaps one of the most misunderstood concepts today. Unfortunately, on account of the distorted interpretations presented by narrow minded and confused minds, over a period of time, many so called religious people have hooked on to false ideologies and meaningless practices. A fundamentalist approach to religion has led to religious intolerance and lack of respect and sensitivity to human feelings. The outcome, as we have been witnessing, is avoidable violence and bloodshed. It is ironical that religion that was supposed to help man connect to his higher Self and enable him to live in peace and harmony with his fellow beings, is now tending to become the very antithesis of it. Therefore, the need to have a correct understanding of religion and an appreciation of the underlying unity in all religions cannot be overstressed. Bhagawan Baba has simplified this most complex concept. 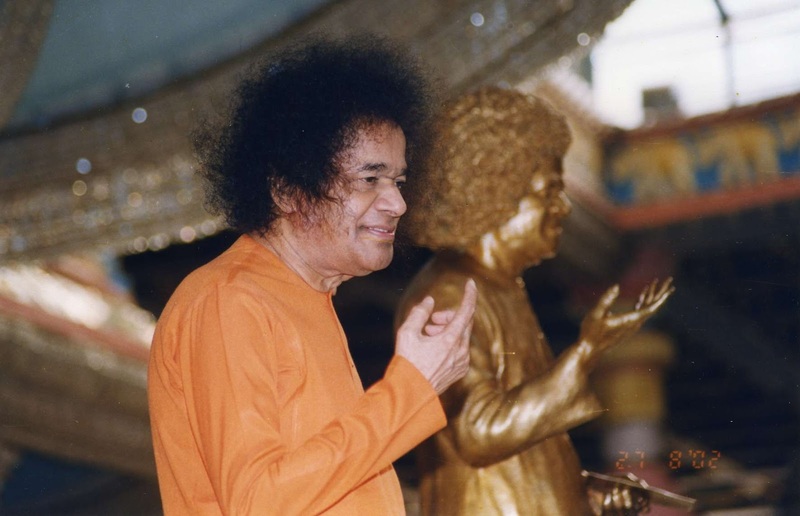 Unlike many other spiritual masters and scholars who write volumes and volumes about religion and various religious practices, Bhagawan Baba demystifies religion and gives a most simple and practical meaning to it. He says, “There is only one Religion; the Religion of Love”. Love is the beginning and the end of every religion. Bhagawan Baba says, ‘Religion is realisation’. Only when we realize the truth about ourselves, will we understand what religion truly is. The English word ‘religion’ has a Latin Origin, from the word ‘religare’. Religare means ‘reunion’, or to “return to the source”, “to merge with the source”. The word for religion in Arabic is “Mazhab”, which is from the root word ‘zahaba’, which means “to go”, i.e. to go back to the source. What is our Truth? What is our Source? Where have we all come from? 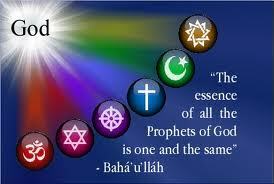 This and much more will be available in this posting on “Unity of Religions”. Part-I of this theme focuses on an introduction to Religion. 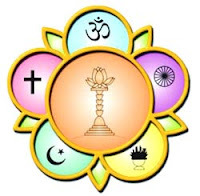 The four audio extracts in this posting are taken from the Discourses delivered by Bhagawan in the years 1990 and 2001. Clip-1 very aptly begins with a Telugu poem sung by Bhagawan that communicates the oneness of the Divine Principle inherent in all the religions. In Clip-2 Bhagawan elaborates on the origin of the concept of religion and the meaning of this term. 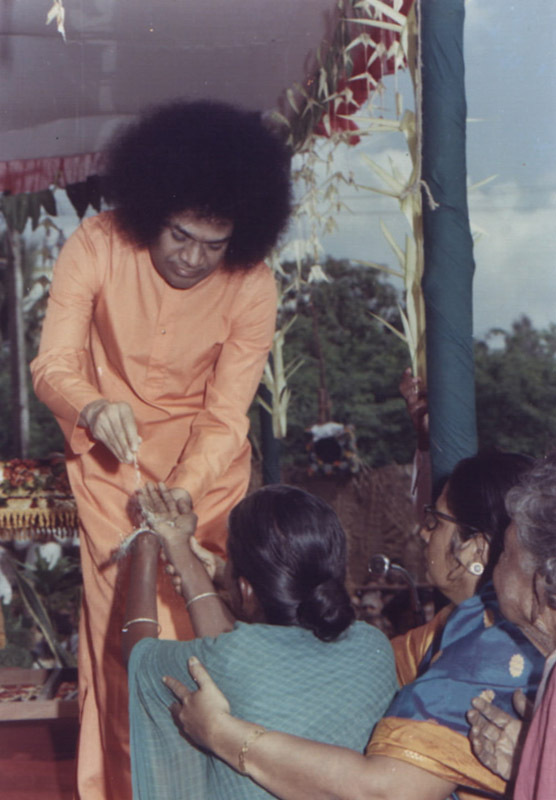 In Clip-3, Bhagawan goes on to explain the meaning of religion and also establishes its relationship with spirituality. The post concludes with Clip-4 that presents a few common teachings of different religions focusing on the principle of oneness of God. He who is known as Allah by Muslims, as Jehovah by Christian aspirants, as Pullabjaksha (the Lotus-eyed Lord) by the worshippers of Vishnu, as Sambho, by those who revere Siva; He is only One who protects you and grants you the grace of bliss, health, long life, fame and fortune. Believe that He is only One God. Unity, fellow-feeling and devotion are essential for every human being. To promote these three sacred qualities in mankind, some great souls sought to establish different religions. Religion is not a restrictive concept. Religion shows the pathway for human development and goal of life. Religion brings out the humanness in man and enables him to live in harmony and happiness with his fellow-men. It provides the bond and relationship between the individual and the Divine. It demonstrates the unity that underlies the diversity. Love, Sacrifice, Service and Righteousness are the main limbs of Religion. Religion brings out the Divine and sublime feelings in man and makes him serve society. It evokes all that is great, blissful and good in men and demonstrates the unity of mankind to the world. Religion is like an undercurrent for the whole of humanity. The founders of religions, with a view to spreading the subtle secrets of religious faith, laid down certain rules of conduct and conveyed their message to the people. In the very first instance we have to understand what religion is. Religion means Realization. What has got to be realized? Once you recognize who you are, you will be able to understand religion correctly. True spirituality is to recognize the Unity and know that the Self in you is the same Self present in everyone else. Spirituality is to know Unity in Diversity. Realization is religion and to know Thy Self is spirituality. A small example: This is my kerchief, this is my tumbler and plate, this is my body, this is my hand. For everything you say, “my”, “my”. But then, who are you? Only because you exist, you claim that everything belongs to you. This is my kerchief. Kerchief is separate from me. This is my body. Body is separate from me. I am not the body. But who am I? When you enquire into this truth you will realise that you are separate from all these put together. In fact, first of all, you are the master of all these. That master is the Atma. The same Atma (Self) is present in all. This is a ring. This is a chain. This is an earring. You see all these as separate forms (of jewels). But if you recognize that the gold in all these is one and the same, why would you have any differences? Therefore, Divinity is only One. You may see many names and forms in this Divinity. But the basis of all these names and forms is Love alone. Buddhism declared that Truth and Non-violence are the basic requisites to manifest non-attachment, sacredness and Divinity in life. According to Islam, all are members of one family in spiritual terms. It regarded prayer as the best means for furthering this brotherhood and ensuring peace and security in society. The Upanishads declare, “Sahasraaksha Sahasrapaad”. All heads are the heads of God. All Feet are the feet of God and all hands are the hands of God. “Sahasrasheerusha Purushaha Sahasraaksha Sahasrapaad”. The Upanishads preached the societal principle of oneness. For humans, it is the collective concept that is fundamental and not individualism. No one can live in this world all by himself. He has to cultivate the sense of community if he wishes to live in peace and happiness. “Sahanaa Vavathu; Sahanau Bhunakthu; Sahaviryam Karavaavahai” - Let us live together; let us struggle together; let us grow together in joy and harmony. This is the teaching of the Vedas. 01-What is religion according to Bhagawan? 03-What are the four limbs of religion? 04-What are the examples that Bhagawan gives to illustrate the Truth that the same Divine Self (Atma) is present in all beings? 05- List one or more important teachings from different religions that communicate the Oneness of the Divine Principle.